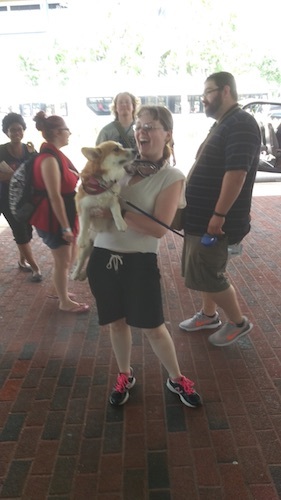 I found Otakon 2015 to be something of an unusual beast, in the sense that a normally fierce dragon might seem uncharacteristically docile. At first I thought that this might be due to my unusual circumstances. 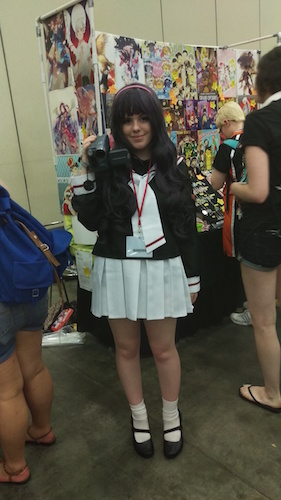 While in years past I was able to attend Otakon all three days, this year I had to skip out on Friday. However, rather than it affecting my perspective in an adverse way, I realized it actually made a truth all the more clear: attendance was significantly down compared to previous years, from an average of 33,000 over the past five to about 28,000 for 2015. 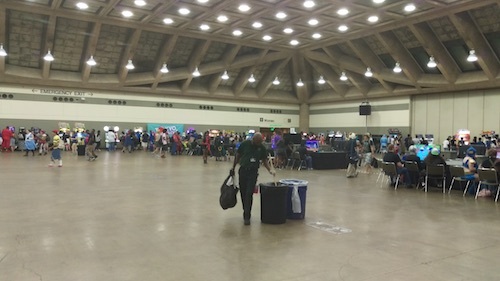 This is why, when I began my Otakon attendance on Saturday, what would normally be the most heavily populated day of the con was…surprisingly easy to navigate. Given the continuous growth of Otakon prior, this might all come as a surprise. However, after discussing it with some friends and fellow fans, we came up with a few possible reasons. 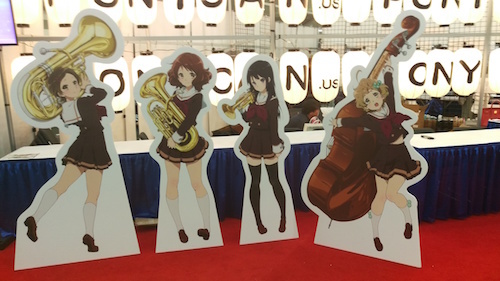 First, the music guests this year were not A-List, and this would mean that the attendees who normally came to Otakon for the concerts might have skipped out. 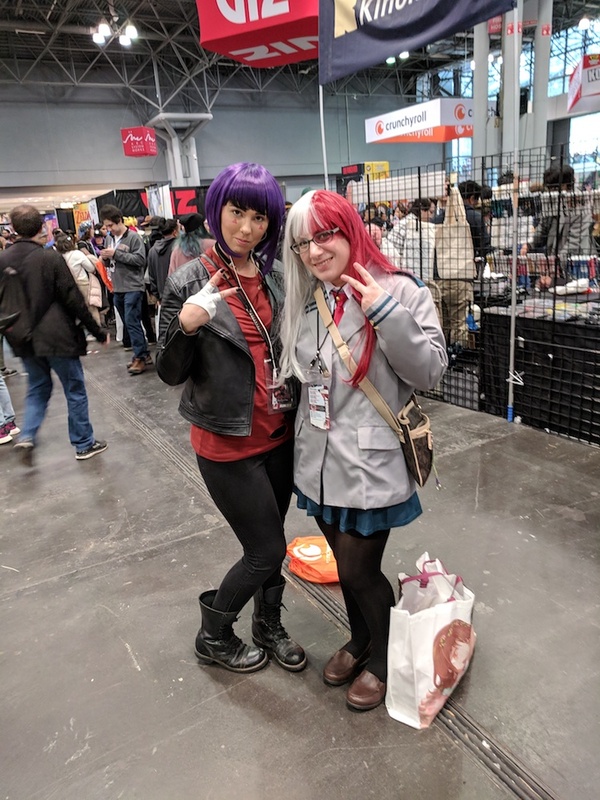 Second, and probably more importantly, Baltimore was in the news not so long ago, and as many anime con attendees are fairly young. 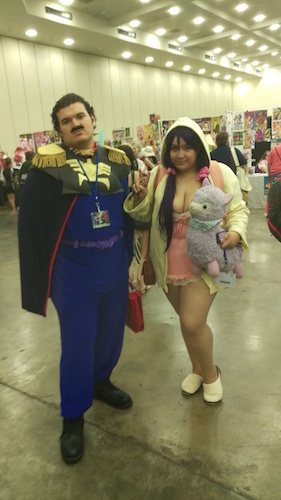 It would not be surprising to see parents fearing for their children’s lives, even if they allowed them to attend Otakon in years past. 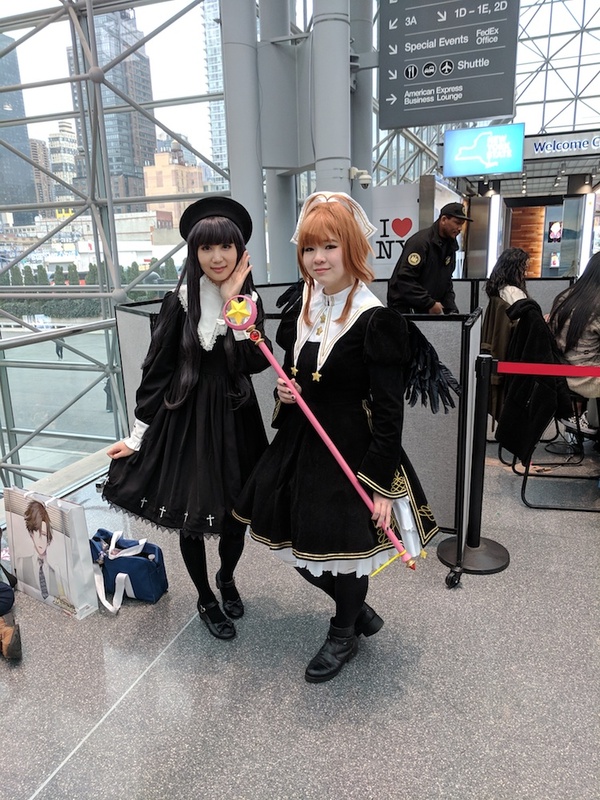 Thus, less traffic, less tension, though for those who did make it, a relatively more relaxing experience… unless you were going for the Romi Park autograph line. In that case, it was probably a no holds barred slugfest with the winner getting the right to hear Ms. Park recite a line by Edward Elric, Shirogane Naoto, or any of her other famous roles. To the victors, it would of course have been worth it. I was originally not planning on attending the Saturday press conference for Park Romi. At the last second I changed my mind, and it turned out to be the best voice actor press conference I’ve ever seen. Normally, seiyuu tend to give very safe answers. All of their characters are their favorites, they can’t give too many production details or insider secrets, and overall it’s just an opportunity for them to promote themselves in a benign, marketable way. With Romi, her personality gave the impression that she would never be able to play that safe route, even if she tried. She talked about blacking out while auditioning for Air Master after uttering the most fierce battle cry. She pointed out how she loves Syrup from Yes! Pretty Cure 5 Go Go and the fact that he’s a walking contradiction (a penguin that flies, that’s innocent yet also cynical). She mentioned going to the karaoke box to wear her voice out in order to portray the pain and trauma that drives Edward Elric in every situation (she described him as her most difficult role ever). She even talked about what it was like to grow up Korean in Japan. Throughout the Q&A, what impressed me the most is that we gradually got a well-rendered image of Romi as a person and a voice actor. As someone who’s always felt a little bit on the outside, perhaps due to her upbringing and ethnic background, she’s been able to connect to characters who do feel a little off, or feel like they go against the grain. She mentioned always playing villains as if they’re the heroes in their own mind, and it pretty much all clicked into place. Ogiue Maniax: You play the role Majo Ran on Ojamajo Doremi. What was it like working on the show and with Director Satou Jun’ichi? Romi: It was a fresh-feeling place there. Lots of cute girls! Satou was a man who was very deep. He put a lot of thought and passion into everything he did. He was like a big brother type. But he did care a lot about details. Details, details, even more details. So you can guess that the recordings took many, many hours. (In English) Many, many hours. 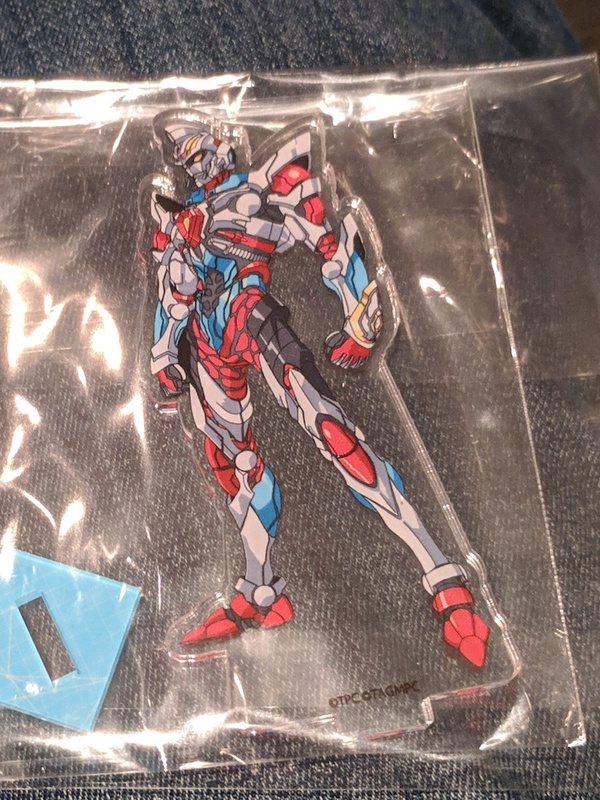 However, the absolute highlight of her press conference was when Alain from the Reverse Thieves asked what it was like to work with director Tomino Yoshiyuki on the series Turn A Gundam. Tomino, who appeared at New York Anime Festival back in 2008, is famous as being a rather eccentric personality, and it’s always interesting to hear stories about him. 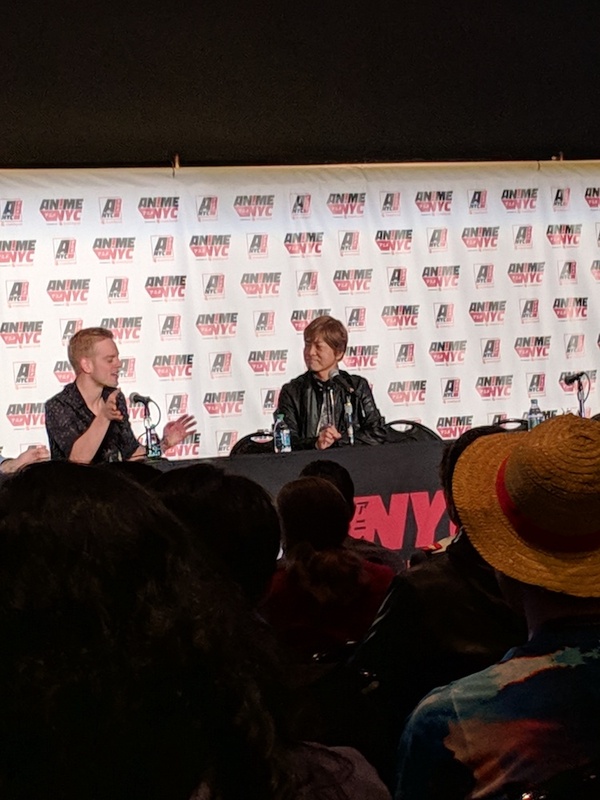 Romi Park added to the legend of Tomino by describing to us her experience working with him on not just Turn A Gundam but also a previous show, Brainpowered. During the recording for episode 1, Park recalls delivering the main character Loran’s famous line, “Everyone, come back here!” as he shouts to the moon, imploring his people to return to Earth. After first delivering the line, Tomino BURSTS through the door of the recording studio and begins to shout at her, to put more emphasis into it. “HERE! HEEEEERE!” he shouted, as he had his arms stretched out to the side. In episode 2, when Loran hits his privates accidentally, and Park delivered an unconvincing impression of it (having no direct experience), Tomino came bursting through the door again, exclaiming to her that this particular kind of pain is extremely intense but fades quickly. What was most telling about this was the fact that the Japanese MAPPA staff that was on the sidelines (Romi was here as promotion for the anime GARO) could be seen snickering, unable to fully control their laughter. 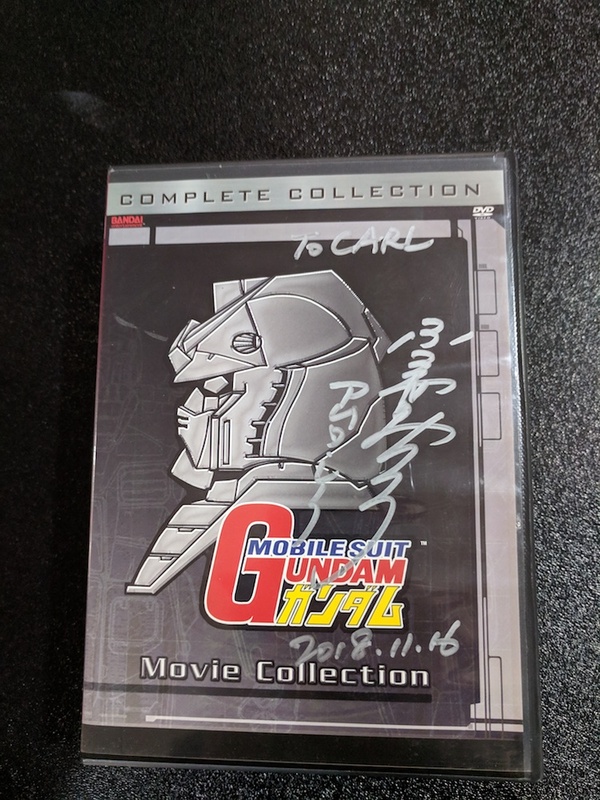 A few hours later, I also had a chance to interview Gundam X director Takamatsu Shinji, who had also worked with Tomino before, to add to the bizarre portrait of the creator of Mobile Suit Gundam. You can read that interview here. 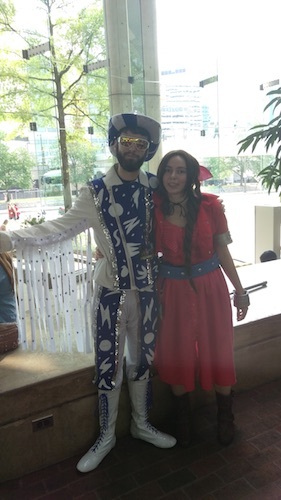 Otakon is famous for its strong programming track, full of passionate fans who do extensive research in preparation for their panels, as well as industry panels aware of the fact that Otakon attendees tend to be savvier. For me, it’s one of the absolute highlights of going to Otakon every year, though this year I was only able to attend a few. And yet, from what I heard, I wasn’t alone. It turns out most of the panels this year were either mostly full or at max capacity, which is rather unusual because generally only the biggest guests and the well-known, charismatic panelists get that much attention. To give a clearer image, usually the Studio MAPPA panel is sparsely populated. 10, maybe 20 people tops who know what a wonderful guest Maruyama Masao (founder and former head of Studio MADHouse, current MAPPA founder and president) is, and how insightful his responses are, but this year I heard that the MAPPA panel was impossible to get into. Now, keep in mind that this is also the year where attendance was down (early reports say the attendance was over 28,000 whereas Otakon these past few years has seen attendance records of over 30,000), a situation that brings up quite a few questions about the demographics breakdown for Otakon attendees, as well as their behavior. Could it be that the Otakon attendees who normally would have made that extra 2,000+ wouldn’t be the ones attending panels? Perhaps the less famous music acts also meant people looked for something else to do and filled the panel rooms instead. Maybe the overall audience has been getting older and more appreciative of panels. In the specific case of MAPPA this year, it might be the case that people have begun to appreciate them more after they released two high-quality action/fantasy shows (GARO the Animation and Rage of Bahamut: Genesis), and I’ve heard that the success of SHIROBAKO and its reference to MAPPA founder Maruyama Masao (“Marukawa Masato”) was a significant factor as well. In terms of fan panels, I attended both of the Reverse Thieves’ panels this year. I consider them good friends, but it’s not simply because I know them that I decided to sit in. They do good work and always capture the audience’s attention. 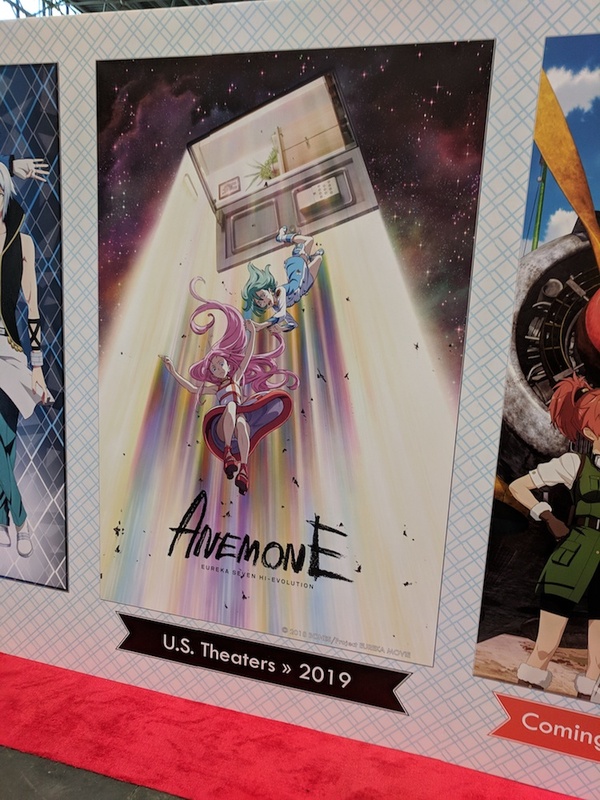 Most importantly, they encourage people to check out anime they had no idea about, and expanding people’s knowledge about anime and manga is something i’m always for. Between the new “I Hate Sports: A Sports Anime Panel,” and their staple “New Anime for Older Fans,” the fact that these panels filled rooms with both people and their delightful reactions shows that fans aren’t stubborn when it comes to looking for shows beyond what’s familiar to them; they just need the right guides to get through the darkness and the seemingly infinite possibilities that come with the new slew of titles every year. 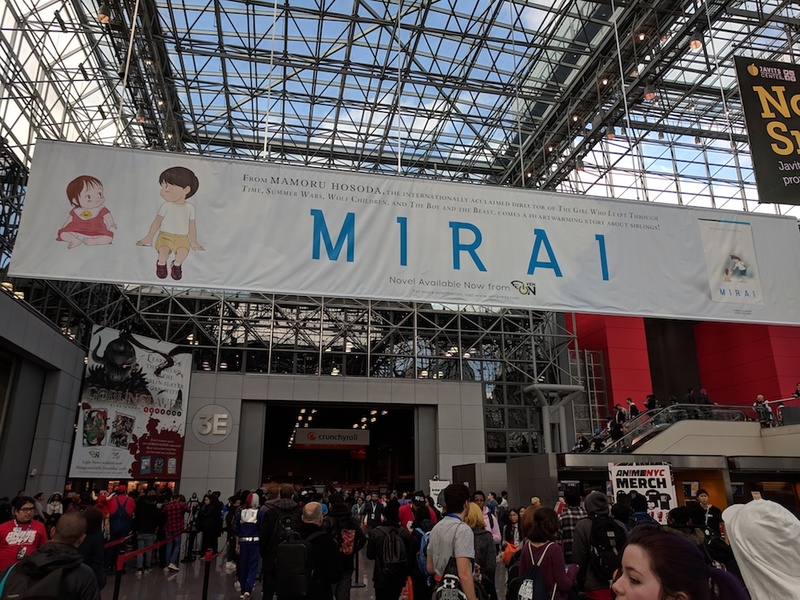 I also attended Mike Toole’s “Bootleg South Korean Anime” panel, though sadly could not attend its spiritual companion ran by another individual, “DPRKartoon: Anime from North Korea” (see above comment about panels filling up more quickly this year). Mike is known for being an excellent presenter, and he showed his chops not only in this panel but also his moderation for the Discotek Industry panel immediately afterwards, though I felt like the South Korean Anime panel wasn’t as tightly tuned as I’ve come to expect from a Mike Toole panel. Nevertheless, it exposed me to the unique history of Golden Bat in Korean animation, a superhero from the pre-manga kamishibai era of Japan, whose later anime was allowed to air in Korea in spite of bans on Japanese media because Korean staff had worked on the show. When a later iteration of Golden Bat appeared in Korea, he resembled a certain much more famous Bat-themed superhero, except that this “Bat-like Man” (though Golden Bat originally looked more like Ghost Rider with a cape) flew, laughed like a maniac, and show lasers from his fingers. 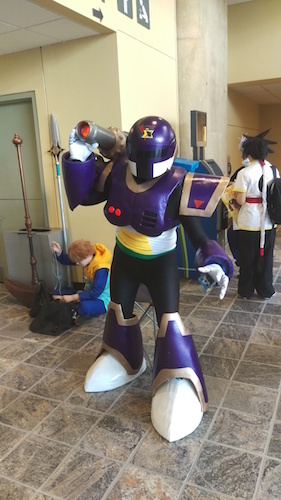 Otakon was the inaugural industry panel for Discotek Media, and I had to attend to know just what kind of minds were responsible for licensing Mazinger Z AND Shin Mazinger. It turns out, the aforementioned Mike Toole works for them, though he cites the owner of Discotek being a fan of good ol’-fashioned violent cartoons as a major contributing factor. The panel reminded me that I need to own Horus: Prince of the Sun, and even though I’m not a huge Gaiking fan or anything, the announcement of its licensing drew me towards it, rekindling my old desire to watch “all of the robot anime.” What was perhaps most impressive about the panel was finding out that they got an artist to faithfully recreate the bad-looking American Street Fighter cartoon art for their DVD box set. Given how badly that often turns out (have you seen the old boxes for the 80s Teenage Mutant Ninja Turtles cartoon?! ), I am truly impressed that it looks so great and terrible at the same time. 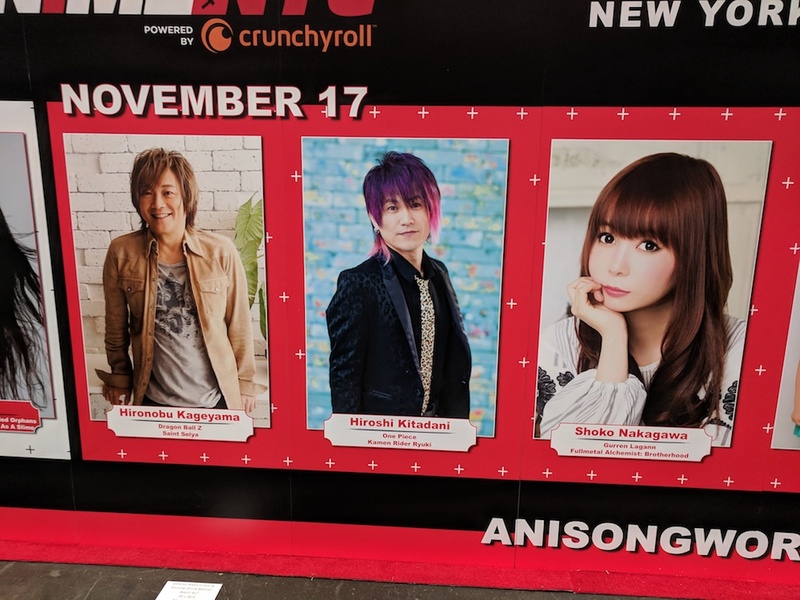 One set of panels I did not attend due to advice given to me was the panels run by Pony Canyon for their new shows. Bringing directors known for their extensive and storied catalogues, it turns out that questions were restricted to only being about the shows they were there to promote. As someone who loves exploring the history of anime and picking creators’ brains, that was an instant turn-off. I hope that Pony Canyon learns their lesson for next time. Last year, due to time constraints and fear of not finishing my thesis, I decided to skip out on preparing panels for Otakon. This year I submitted a couple, and fortunately the one I really wanted to do made it through. That was “Great Ugly Manga,” inspired by my love of 81 Diver, and the fact that the concept of “bad-good” is still relatively foreign to a manga-reading audience (though less so a comics-reading audience in general). I worked with super ultra manga expert Ed Chavez (who also has an appreciation for the awesomely ugly), and together we worked to try and convey the idea that sometimes “bad” artwork enhances the impact of a manga, whether intentionally or not. The panel ran a bit quickly, finishing early, which makes me wish we packed it with more stuff, but that’s a lesson learned for next time. I do really want to do the panel again. I came to Otakon this year a little more prepared to spend money on trinkets and goodies, but ended up getting less than I expected, which is probably best for my wallet. Of the purchases I made, the one that sticks out most is an excellent little double-sided charm from Suzuran, which now adorns my recently-purchased smartphone. In terms of official merchandise, most of my purchases actually came from the Pony Canyon booth. I did not go for their extremely expensive bluray sets, especially because $75 per disc sounds absurd to my ears, but I like the shows that they’re involved with a lot, and wanted to support them in a way they might potentially understand. I came away with a t-shirt and poster of Sound! Euphonium, as well as a CD from Rolling Girls, both anime that I highly recommend. 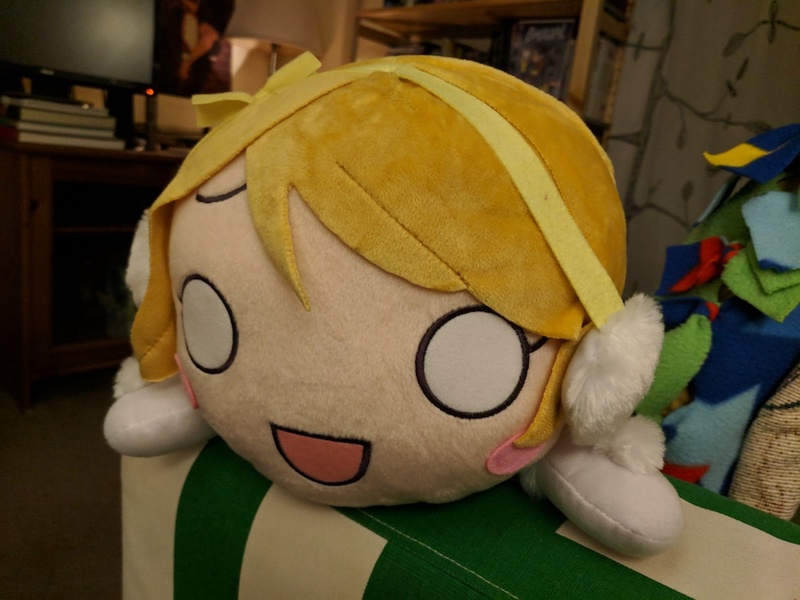 As an aside, I also ended up with a free Love Live! School Idol Movie poster for some reason I still don’t quite understand. 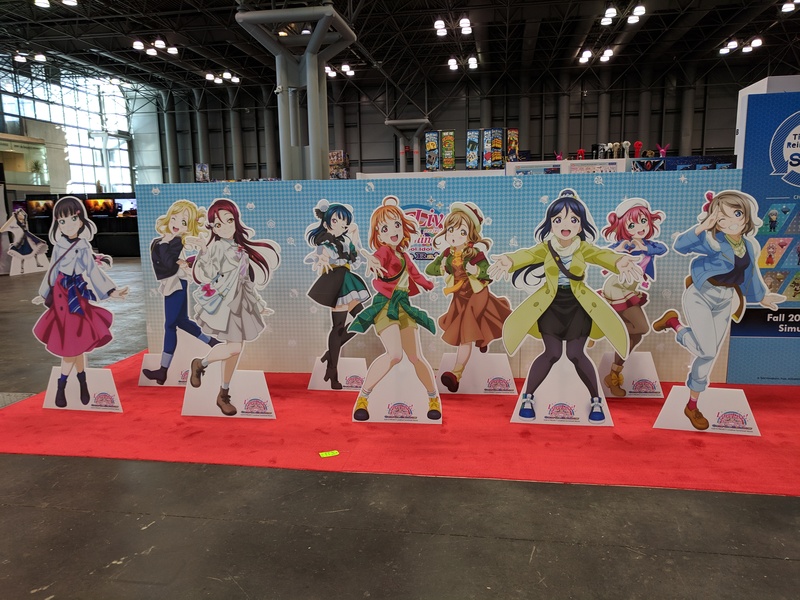 Will I frame it and carry it with me to the New York premiere of the Love Live! movie? Only time will tell. 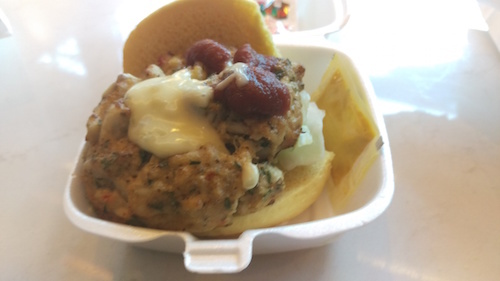 So anime is cool and all, and Otakon is the largest anime convention on the east coast, but Baltimore is supposed to be known for their crabcakes, and it’s supposed to be a part of the Baltimore experience to eat some awesome ones. Unfortunately, in the past the ones I had were more decent than incredible, but this all changed when a truck decided to carry some of the best crab cakes ever, and parked itself in front of the hotel I was staying at. To describe how good Flash Crabcakes are is to mention that I regret more than ever the fact that Otakon is leaving Baltimore in a couple of years. I also learned that things named Flash tend to be amazing, whether it’s the superhero, the Starcraft player, or indeed the super lump crabcake. The program that spawned Animutations gets a pass for its accomplishments, even if it’s become a bit senile and deranged. 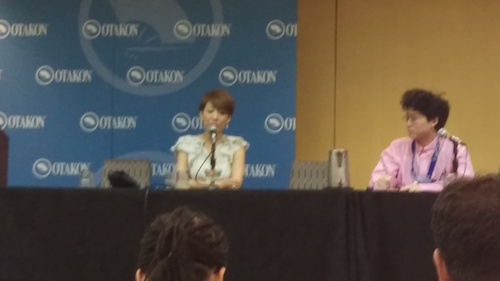 Despite the fact that this Otakon didn’t seem quite as outright exciting as previous ones, I came away from it having two of the best interviews/press conferences I’d ever conducted. It was truly a pleasure to pick the brain of two industry veterans, and my only real regret was not being able to attend any Maruyama Masao panels due to scheduling conflicts. 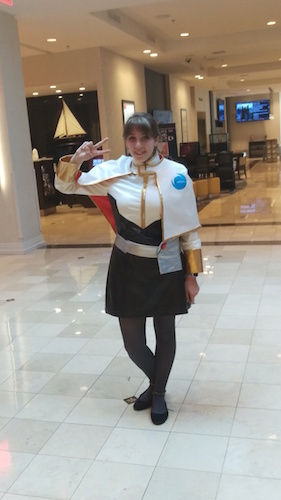 I also left this year’s Otakon aware of the fact that only one year remains in Baltimore. While I think the move to a larger convention center in Washington, DC is probably the right move, I do feel some concern for the city of Baltimore itself. After all, Otakon is a huge money maker for them, and even if attendance was down, there’s a difference between losing 5,000 tourists and losing 33,000, all of whom want to eat in the area. 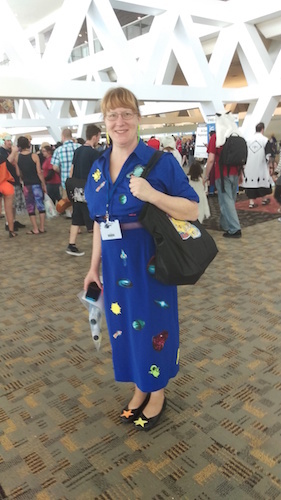 Will there be another convention that tries to fill the vacuum left by Otakon? The battle for MD/VA begins. Setting aside in this instance the legitimate criticism of beauty pageants and the like, I want to focus less on the issue of judging people, especially by women, primarily on how they look, and more about how people perceive the way others “should” look. 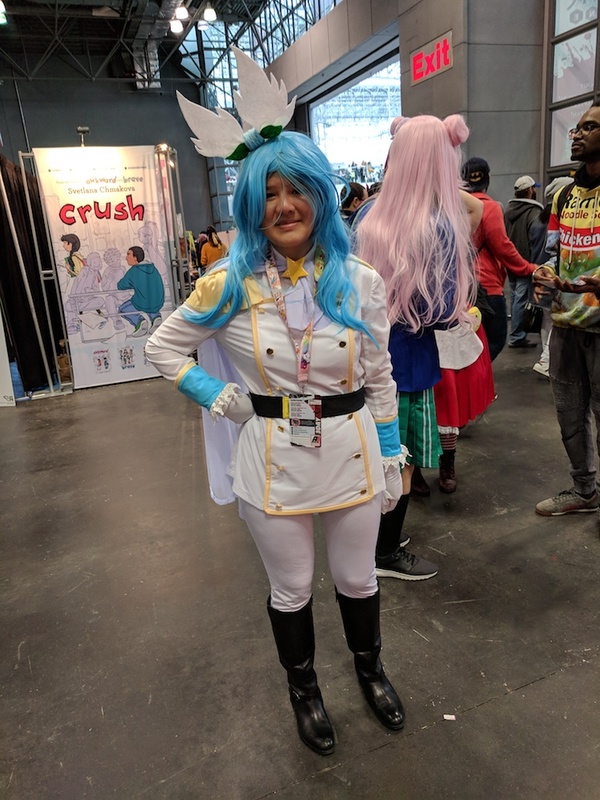 In particular, I want to focus on another less well-known controversy within fandom from a few years back, which is the idea that black girls shouldn’t cosplay white or “white-looking” (i.e. anime) characters. 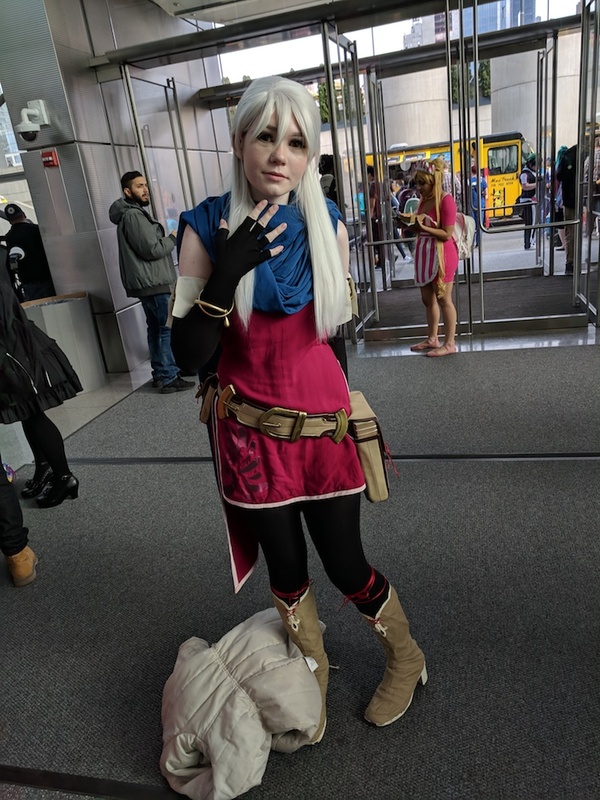 This has justifiably received a great deal of blow-back from fans and cosplayers of all ethnicities, with people arguing that cosplay is something that transcends race. After all, it’s not necessarily about replicating the character perfectly in reality. 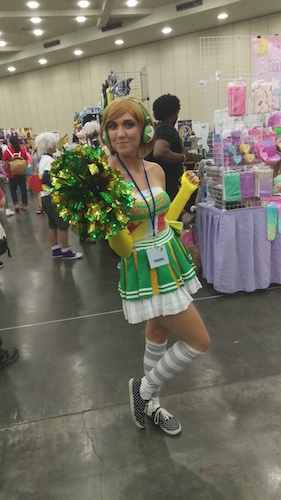 The cosplayer is just as important if not more than the costume itself. However, while not wrong in any way, such an argument still comes from the idea that one is defying the presence of race through cosplay. 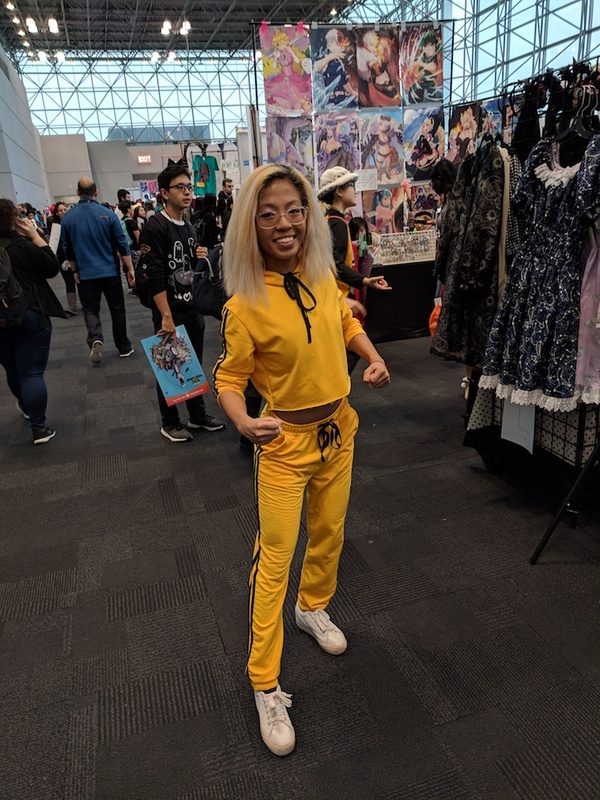 With Miyamoto Ariana’s victory though, something even more fundamental to this idea of “cosplaying the wrong skin color” enters the equation. 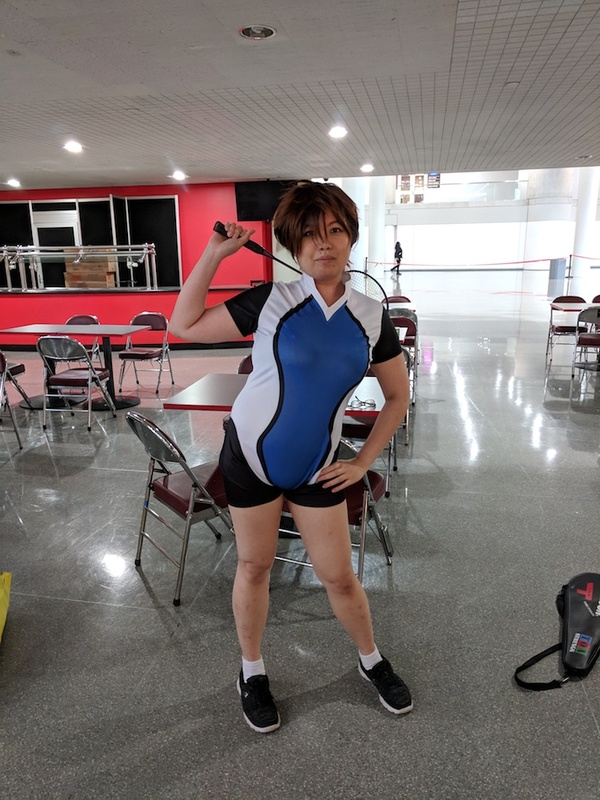 Essentially, when it comes to anime characters especially, black cosplayers are working from the perspective that Japanese-ness doesn’t matter, and they’re basically right. What Miyamoto does is attack this at an even more base level: what does “Japanese-ness” even mean? You can look black, be Japanese, and neither is a compromise of the other, even if the surrounding culture (or subculture) tries to make it seem that way. Of course, when it comes to both beauty queens and cosplayers, on some level image is important, but efforts by both black cosplayers and Miyamoto Ariana show how the very assumptions that go into how we see things, how we see the relationship between reality and fiction and at what point one appears to be the other, can be challenged and potentially transformed on a societal level. At least, that’s where I hope things will go.